Would you like to watch favorite YouTube videos on your multimedia devices on the go? 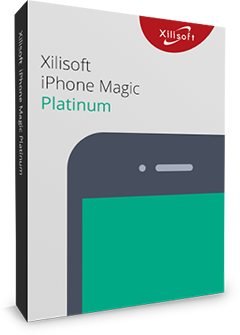 Xilisoft YouTube Video Converter for Mac is an easy application for Mac users and YouTube fans. It can download all YouTube videos (even 3D videos and HD videos) and convert YouTube videos to various video formats for watching YouTube videos anytime anywhere. It is also a useful Video Converter to convert your local videos in different formats. Download YouTube HD videos (even 1080p and 4k videos) and YouTube 3D videos. Convert YouTube videos to MP3, AVI, WMV, MKV, WAV, MOV, etc. Convert YouTube videos to play on iPhone/iPad, Apple TV, Galaxy, HTC One, Moto X, Nexus, Kindle, Surface, Lumia and other devices. Convert all kinds of local video files in different formats. Xilisoft YouTube Video Converter for Mac easily helps you to download YouTube MP4, FLV and Webm videos, even 3D videos. Xilisoft YouTube Video Converter for Mac enables you to directly download YouTube HD videos, even 720p HD, 1080p HD and 4k videos to your Mac. Convert YouTube FLV, MP4, FLV, and Webm formats to be compatible with iPhone, iPad, Galaxy, HTC One, Moto X, Nexus, Kindle, Surface, Lumia, etc. You can also choose “Automatically Convert” in the Conversion Settings to download and convert YouTube Videos in one step. 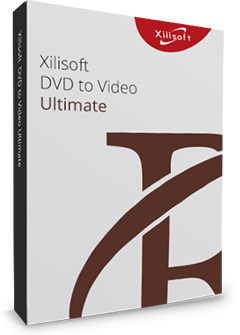 Xilisoft YouTube Video Converter for Mac allows you to convert your local videos in different formats like AVI, MPEG, WMV, MKV, MP4, H.264/MPEG-4, RM, MKV, WMV HD, etc to any other videos. Download and convert multiple YouTube videos at the same time, just adding as many video URLs as you want, and let Xilisoft YouTube Video Converter complete the tasks in batches. Choose appropriate output formats or devices.Set more advanced settings to benefit your YouTube video output quality. You can set your output file just for specified devices like iPhone, iPad, Galaxy, HTC One, Moto X, Nexus, Kindle, Surface and Lumia, and choose to convert YouTube video to AVI, MP4, FLV, WMV, MKV, WAV, MOV, MPG, FLAC. Lots of settings like Format, Video Codec, Video Resolution and Video Bitrate are available to assist improving video quality. This YouTube converter provides the option for you to choose if you want to automatically transfer MP4, MOV and MP3 file to iTunes after downloading and converting . Xilisoft YouTube Video Converter for Mac can check for updates automatically according to the schedule you set, which can keep the software up-to-date. This YouTube video converter is available in English, French, Japanese, German, Spanish and Chinese. And much smarter design brings much easier usage and better user experiences.